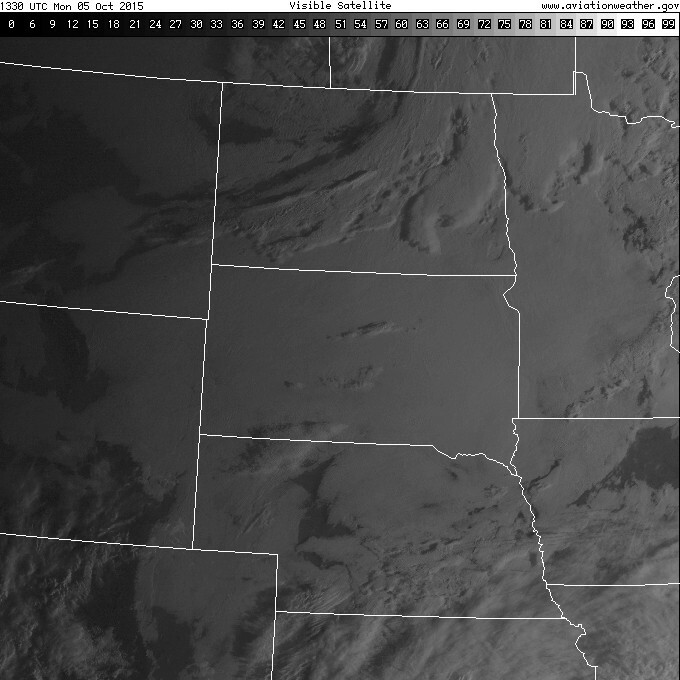 The weekend was cloudy and rainy in western North Dakota, whereas, eastern North Dakota and northwestern Minnesota experienced dry conditions (exception of sprinkles) and abundant sunshine on Saturday. 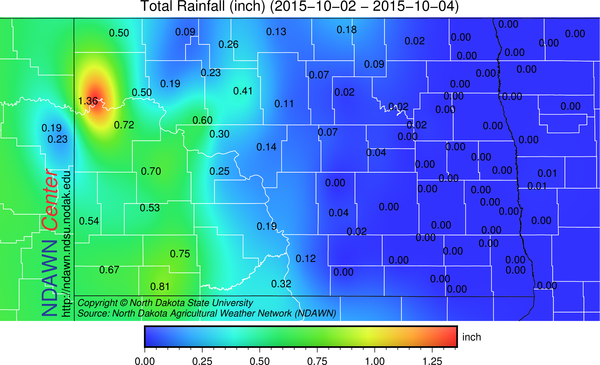 Rainfall totals exceeded over 1 inch at the Williston from Friday through Sunday with most other locations in western North Dakota in the 0.25 to 0.75 inch range. Although abundant cloud cover will be over the region this morning, outside of sprinkles no rain of consequence is expected today. The main threat of rain for the area will come on Wednesday. Although it is cloudy across much of the region this morning, an area of high pressure is moving into North Dakota behind a cold front. Low sun angle in combination with abundant low level moisture will make for a slow clearing day, but at least some parts of the area should get into some sunshine later today. 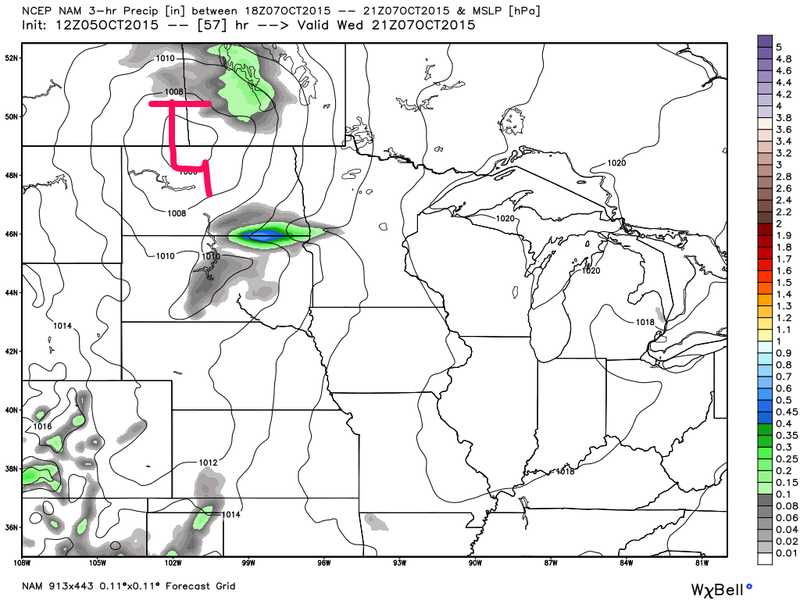 The next rain maker on Wednesday is associated with an area of low pressure in the Pacific Northwest that will track through southern Canada than move southeasterly through North Dakota into Minnesota. Because of that track, the system will likely “gather moisture” as it moves across the state meaning eastern North Dakota recording more widespread and higher totals than what is expected in western North Dakota. The timing looks to be more later than sooner during the day on Wednesday with the precipitation lingering into Wednesday Night. Behind the system, briefly cooler on Thursday before a surge of warm air moves into the upper Midwest for the weekend. Temperatures are currently projected to get into the 70s this weekend with Sunday perhaps being the warmest of the two days. With the exception of Wednesday, an overall very mild and dry pattern is foreseen for the next 10-14 days.